I, like many other people near my age, grew up watching the Power Rangers. The show, in its various incarnations, spanned more than a decade, but despite recent studio attempts to make it relevant again, it will always be trapped in time, gloriously cheesy and unapologetically campy. 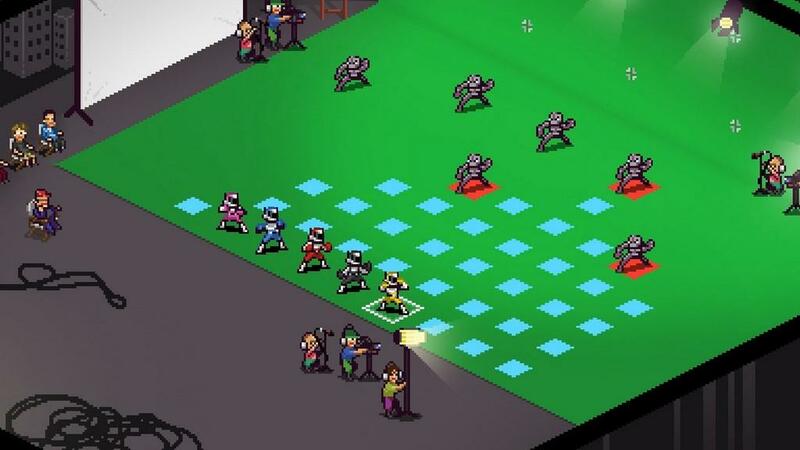 That, plus the great gameplay, is why Chroma Squad was an absolute delight for me. 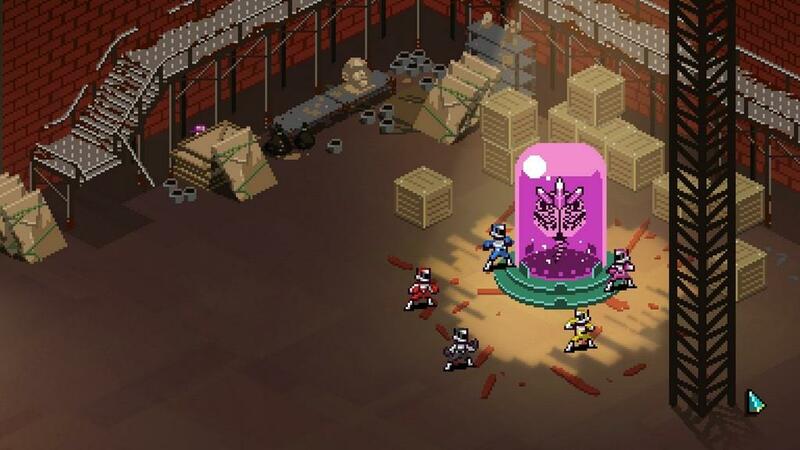 In Chroma Squad, you play as a group of stunt actors who have gotten fed up with working on the game's equivalent of Power Rangers, so they decide to quit and start their own show. 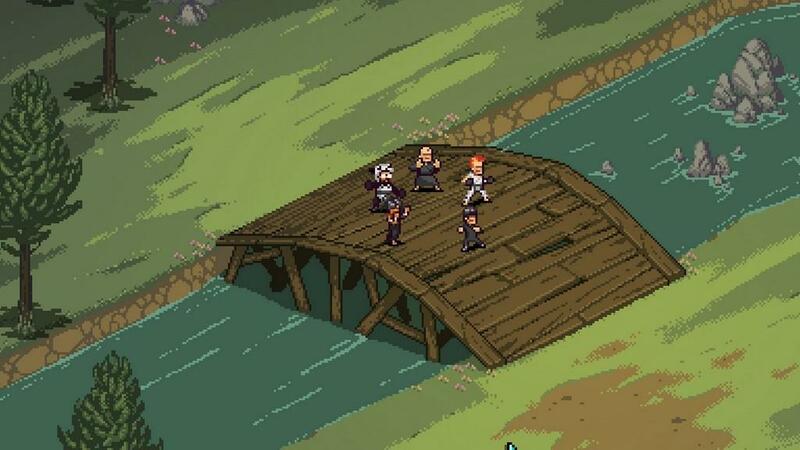 The gameplay is divided between filming the episodes, which accounts for the action segment, and managing your studio and actors, which accounts for the RPG segment. It sounds really weird on paper, but it works surprisingly well. The battles play basically the same as something like XCOM or Fire Emblem. You control your five heroes, each with a specific role and set of skills, and move across an isometric battleground to fight minions in a turn based system. Like XCOM, your heroes have essentially two actions per turn; they can move once and then attack, or move once and then move again. The real fun of the combat comes from coordinating team actions. Heroes can go into teamwork mode, which readies them to do simultaneous actions with other squadmates. This can take the form of throwing another hero across the map to increase their range of movement, healing nearby teammates, or joining into combination moves. You can use the teamwork mode to attack an enemy with the entire squad at once to deal a devastating finishing move, which is often necessary to finish boss fights. It sounds like a simple mechanic, and it sort of is, but the tactics of getting your squad all in place at the right time is continually engaging throughout. Episodes are often concluded with the giant Kaiju fights in your mechasuit, which are fun but a little repetitive. They almost always go the same way, which is doing a quicktime event to hit the enemy and then delivering the final blow with a finishing move. It's fun, but it doesn't do much for the sake of variety. Upon completion of an episode, you will earn fans and money, which are both spent to upgrade your studio. 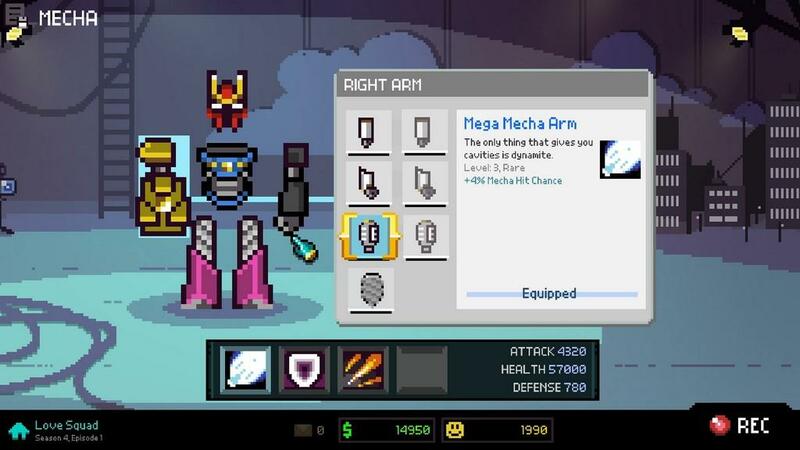 Money is used to buy things like new weapons and armor for your heroes and mecha, as well as purchasing certain permanent upgrades that will increase the amount of money and fans you get for each episode. Fans, or fan power, is spent on advertising deals, which give you dramatic income boosts and multipliers to maximize your earnings with each episode, so long as you perform well enough to maintain them. 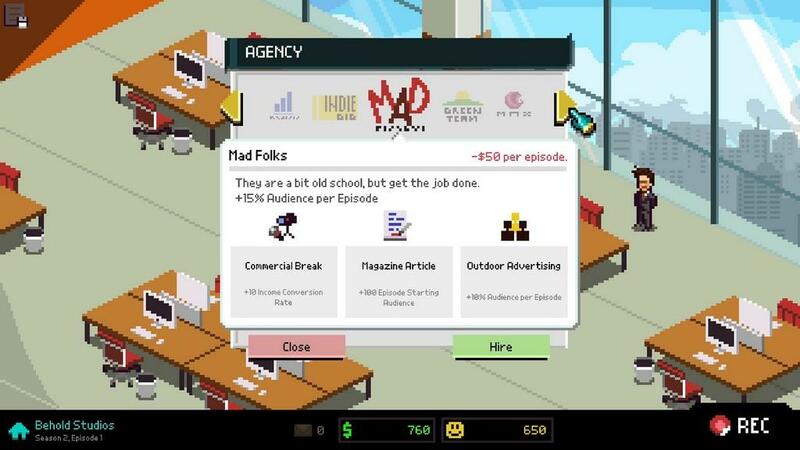 The studio management is the biggest disappointment with Chroma Squad. It could have been a really interesting and unique take on the "fortress upgrades" trope from RPGs, but instead it doesn't amount to much more than buying your squad new equipment every season and buying the best advertising available. The game never gets hard enough to encourage you to not risk money on the expensive boosts, and you'll never be short on cash or fans. One of the smaller tasks you'll have in the studio is answering emails from fans, producers, and generic lunatics from the internet. These emails are often condensed nuggets of Chroma Squads endearing and unrelenting sense of humor. The game knows how silly it is, and is so chock full of self-referential humor and pop culture references that it's worth playing just to see what absolutely ridiculous thing will happen next. 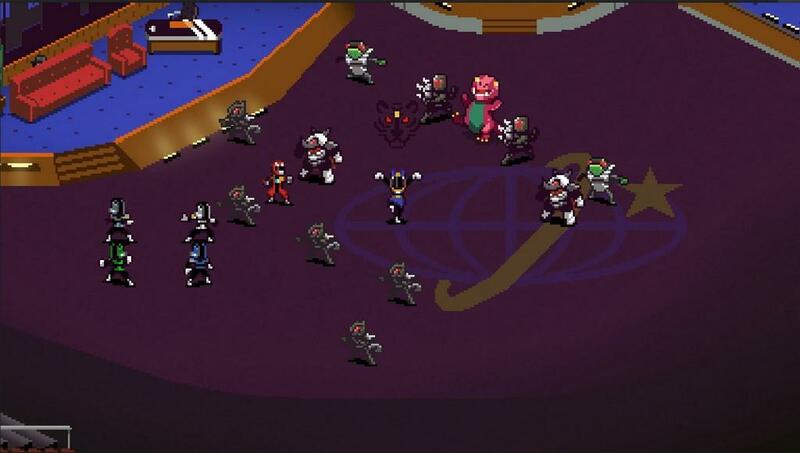 You can tell the game is written by people with fond memories of Power Rangers, but also know what a corny and honestly kind of awful show it was. Another issue I have is with the whole 8bit aesthetic. I, personally, think that that whole thing has just gotten a bit tired. A game like this could have done with a bit more detail, what with its really inventive and silly monster designs, and I think it's kind of a shame it's trapped in a retro graphics shell. This kind of applies to the music as well; it's all really well composed, but it starts to grate on your nerves after a while. It's not quite varied enough, and those 8bit style sounds are just not pleasant enough to listen to for extended lengths of time. 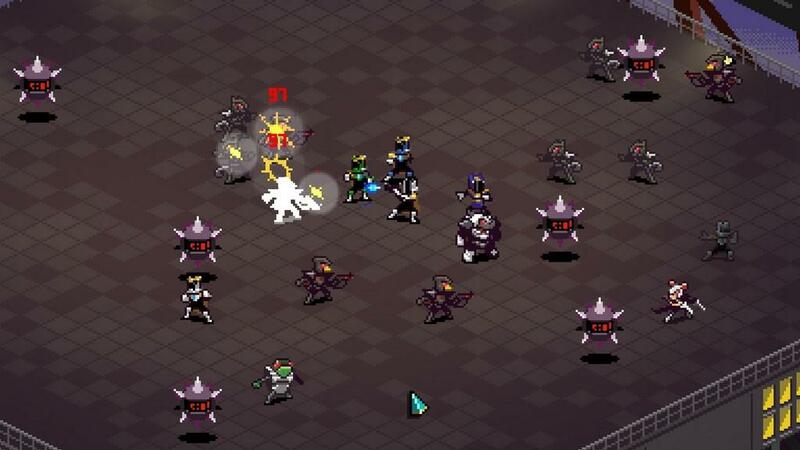 Overall, Chroma Squad is a game that I had a blast with, but it's a genre piece. It has a core solid enough for anyone to enjoy it, but I do wonder if some of its charm and magic would be lost on someone who didn't grow up with the Power Rangers like I did. 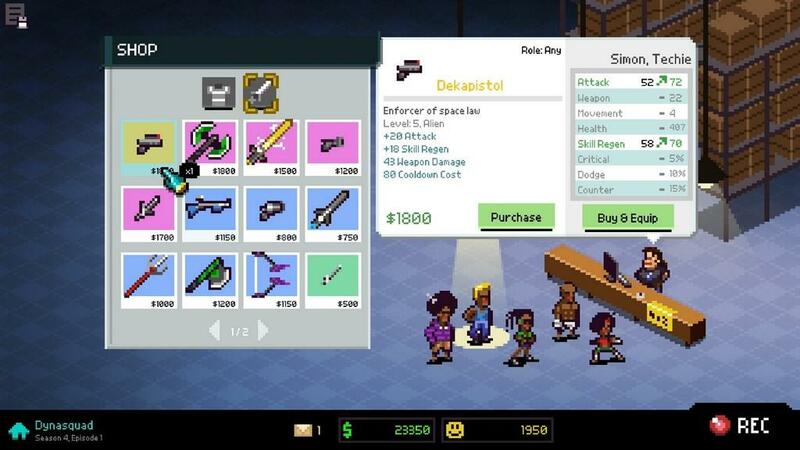 The RPG elements could have been a little more fleshed out and the presentation gets a little old after a while, but by and large Chroma Squad is a really well put together game with a great sense of humor that I think most people would enjoy. Even if the RPG elements are a little too shallow, Chroma Squad has great gameplay and a big ol' heart and presents it all with a smile.